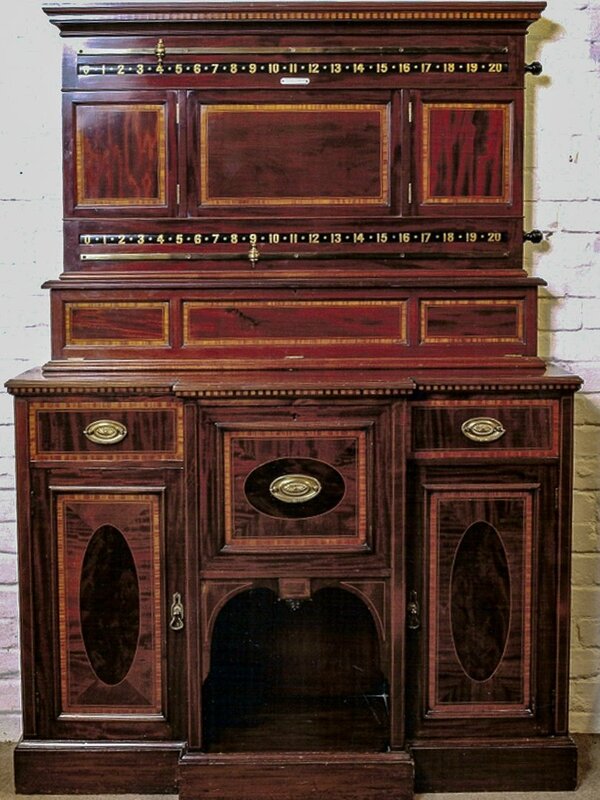 This unique & striking mahogany table with Sheraton style satinwood inlay was made by Thurston & Co and was the personal table of Joe Davis OBE – undefeated world Snooker Champion from 1927 – 1947. 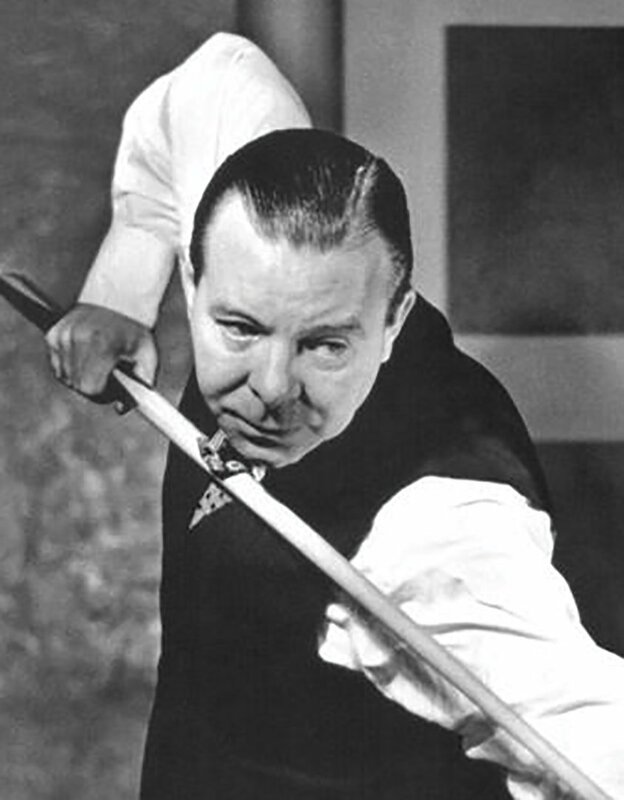 Joe won his first Snooker World championship in 1927. 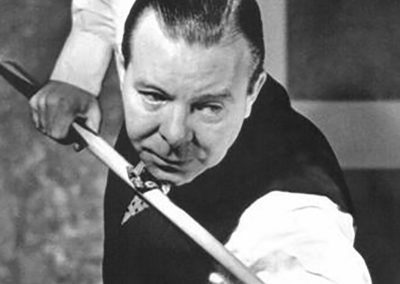 He was the first player to acheive an officially recognised break of 100 and 47. 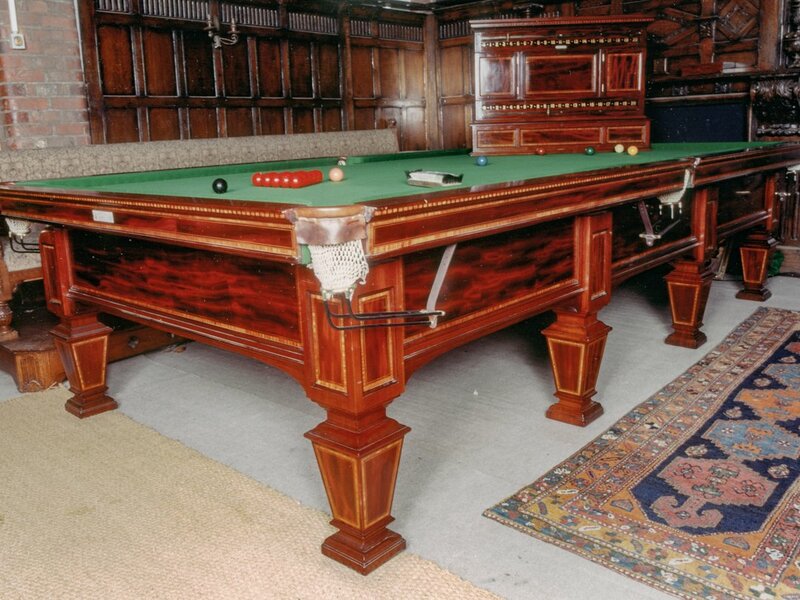 Thurston are the world’s oldest Billiard table makers and held a Royal Warrant when they made the table, in Cheyne Walk, Chelsea, London c1907. 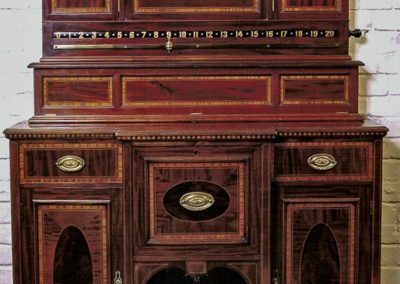 Joe Davis became their representative and was given the table by them. 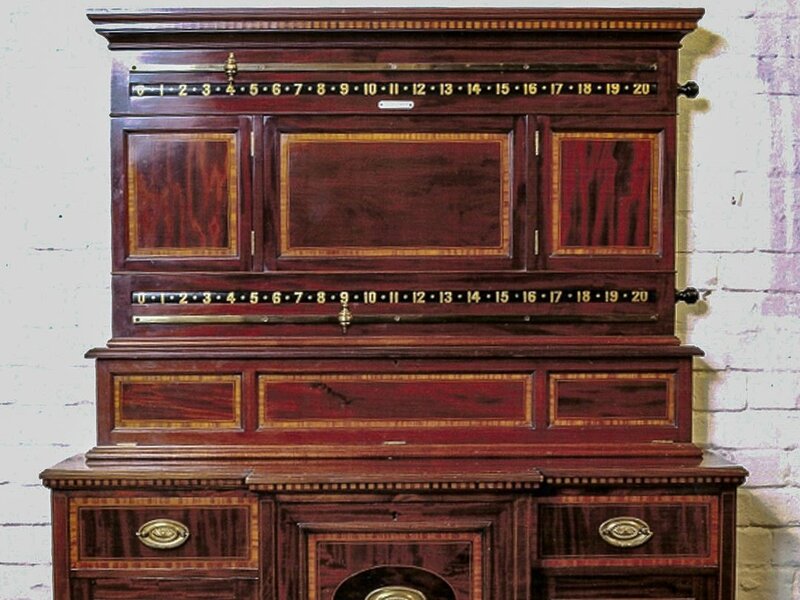 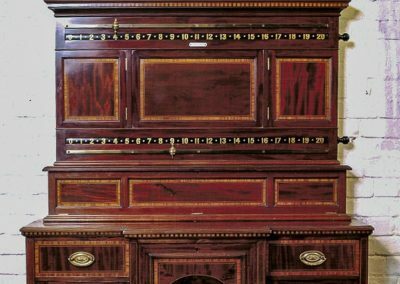 The table and matching Scoreboard & cocktail Cabinet are on display in our showrooms – please get in touch if you’d like to know more about this beautiful piece of Snooker history.